Monolithe take a somewhat quirkier and experimental approach, with excellent results. France's Monolithe have been around for a long, long time now. Far longer than I actually appreciated, actually - and that's despite me owning their earliest works! Ah, the ravages of age come to us all in the end, don't they? 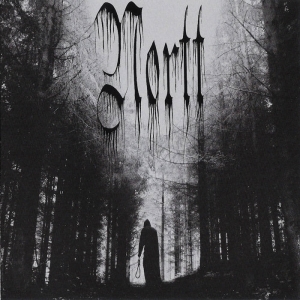 Nowadays, Monolithe play a much more experimental form of Doom than they used to. It's an extremely melodic approach to Death/Doom that almost has a Science Fiction feel at times. I use the term "Death/Doom" quite loosely though, because Monolithe don't really sound like any other band, at least not on this album. If there were such a thing as "Space Age Doom" then this album would definitely fall into that sub-genre. However, let's not go down that route - the last thing we need is to create another sub-genre for an already loaded genre! The whole approach from Monolithe on 'Nebula Septem' is decidedly quirky with some zany synths, robotic sampling, and the song lengths all being identical. On the paperwork supplied with the CD, it goes a step further than all of the songs simply being seven minutes long. Normally such paperwork is basic dross that is littered with unnecessary death-by-adjectives fangirling to mask what is likely to be a very common-sounding release but that's not the case with Monolithe. In the band's own words - "7 musicians gathered to record 7 -minutes songs to feature on Monolithe's new and upcoming 7th opus - Nebula Septem. 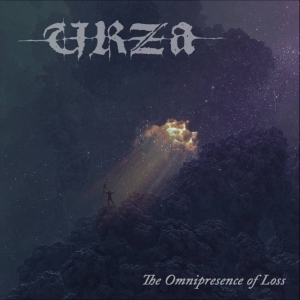 Once again, the French explorers of the realms of Dark and Doom Metal have cooked an ambitious concept; on the album, the tonality of each song is one of the 7 notes of the western scale, the first letter of the songs' titles is one of the 7 first letters of the alphabet; it is also the tonality of each song - from A to G". Is it just me, or is that really cool? I'm a fan of quirky things, even if the grammar of the quoted paragraph does make me shift uneasily in my seat. To me, an album like this has a place in every Doom fan's collection. That's not to say that it'll appeal to everybody because it certainly won't. 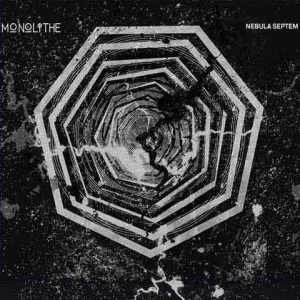 However, I seldom stumble across genuinely unique releases in Doom Metal nowadays yet Monolithe have produced something on 'Nebula Septem' that doesn't really sound specifically like anything I've heard before so I feel that everybody should at least try it. Yes, they do fuse elements I've heard before but not in this style - some not even in the same genre. I listen to a number of French experimental bands (e.g. Chapelier Fou) that have nothing to do with Doom and yet there are some similarities between them and Monolithe. Again, it's quirky, fun, and almost hypnotic with its approach. Without being able to explain in words precisely why it's the case, I do find myself liking this album more with each listen. I think the band have got it spot on when they described this release as "needs to be lived more than listened to". I can't say that the musicianship is brilliant or terrible; it's what you'd expect from an established Doom band. The harsh vocals suit the music well too. However, it's the atmosphere that sets this release apart from the rest - that's what captivates me the most here. It's incredibly dramatic and intense without being able to be described as a typical Death/Doom release. I'm a big fan of the idea of a 'Gravity Flood' too - it's really a very clever "visual", if you will. I have to admit that I was concerned about the band's bizarre approach at first, more specifically the song length idea. To me, creativity cannot be bottled or contained. It can be chiselled at sometimes but you cannot force it into specifically shaped containers when it suits you or it becomes less effective. However, Monolithe have pulled it off very impressively indeed, enough so that I wouldn't have noticed that all of the tracks are the same length had I not specifically looked for that information. To me, that says the songs are structured well. I'm finding it really tough to pinpoint elements of this release that I don't like, which is unusual for me as I'm a fairly cynical person by nature. 'Nebula Septem' is a really fresh sound to me. Indeed, the biggest critique I have of this release is not anything that the band have done but more that I'm pretty certain some people will judge the album solely on its musicianship, and there's no way it's going to appeal to some people with that in mind. 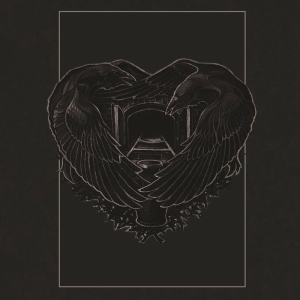 If you imbibe the album for what it is then I believe any open-minded Doom Metal fan will really enjoy this album. If you're something of a purist then I daresay this epic album will not appeal to you. Fans of quirkier experimental bands like Aarni should really enjoy 'Nebula Septem' - I certainly did.